Weather and time of the day play very important role in deciding which form of the music a user would listen to. Indian classical music has different "ragas" for different times of the day. There are some "ragas" which are related to "weather" conditions as well. As an example, according to legend, raga Malhar is so powerful that when sung, it can induce rainfall. ( Referred from Wikipedia). In general human emotions very according to the weather and hence the song selection too. 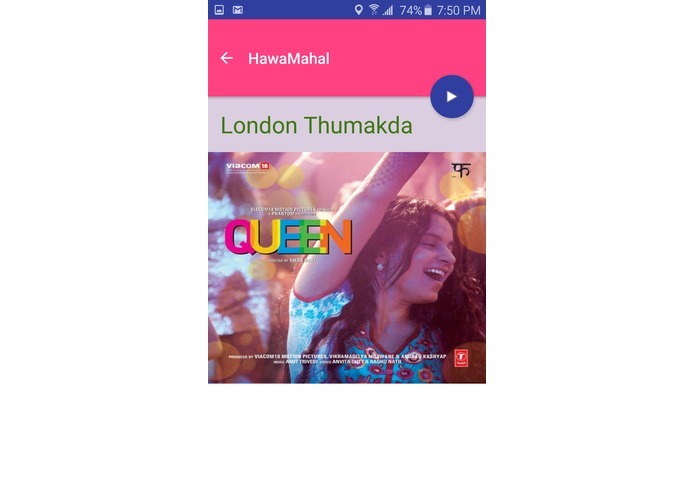 HawaMahal uses Spark and Scala to process historical weather data and songs played by users in the vicinity of user's location to come up with the song recommendations. 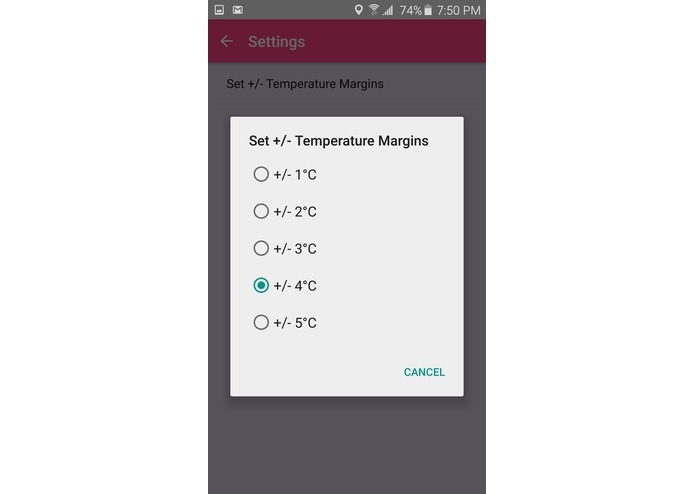 Retrieved the historical weather data for year 2015 and moved it to Swift Object storage. 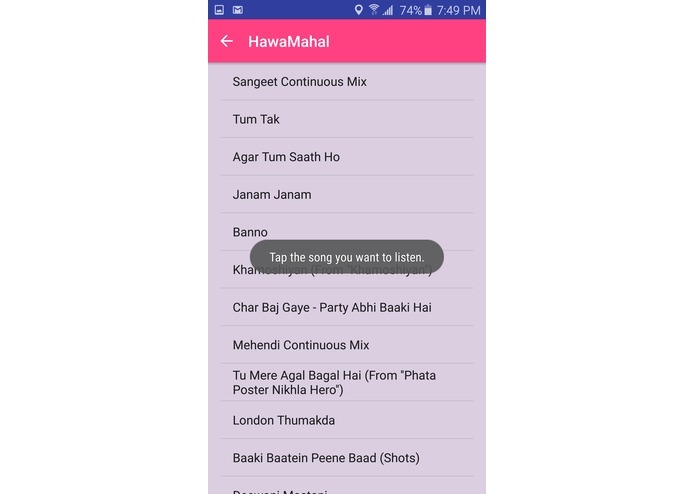 Got hold of few random bollywood songs from Spotify and used their developer APIs to fetch the information that I was interested in. Generated and uploaded the dataset that mapped those songs to each day of the year 2015. This is absolutely random but proves the idea. 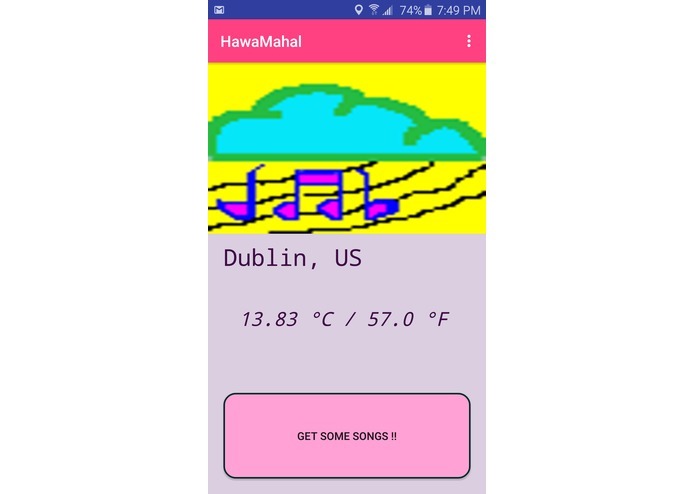 By joining these two datasets figured out the relationship between weather conditions ( Temperature for now) and songs played. 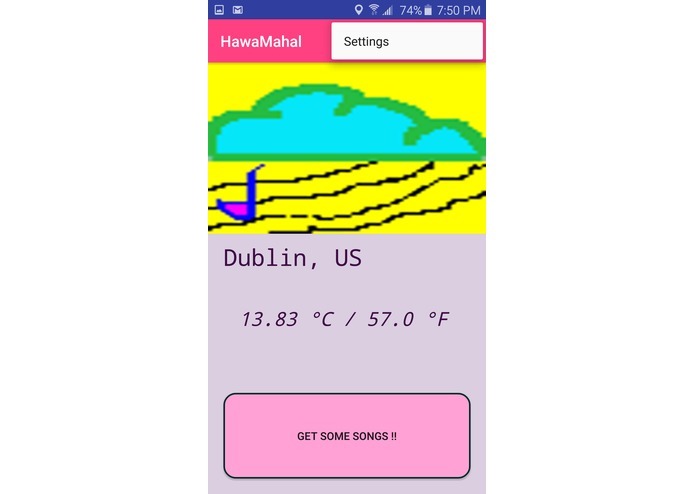 Android app that figures out user's location and weather condition in real-time, uses this data to talk to Swift Object storage to retrieve the recommendations. I was hoping to get anonymous data about daywise list of Songs played in particular region. As I did not find anything like it, I had to cook my own dataset. Scala Notebooks that I had created at the start of hackathon was not working and it took a little time and IBM's assistance to figure out the issues. Completion of another project from conceptualization to implementation. Felt creative while preparing the Android App logo for this app. I have also animated the musical notes in logo which gets displayed while app fetches the song details. Spotify app sends out a broadcast event that other apps can listen to. This event notifies which song is being played in Spotify player. I could use that to build the anonymous music database that has date, time and location of the song played.